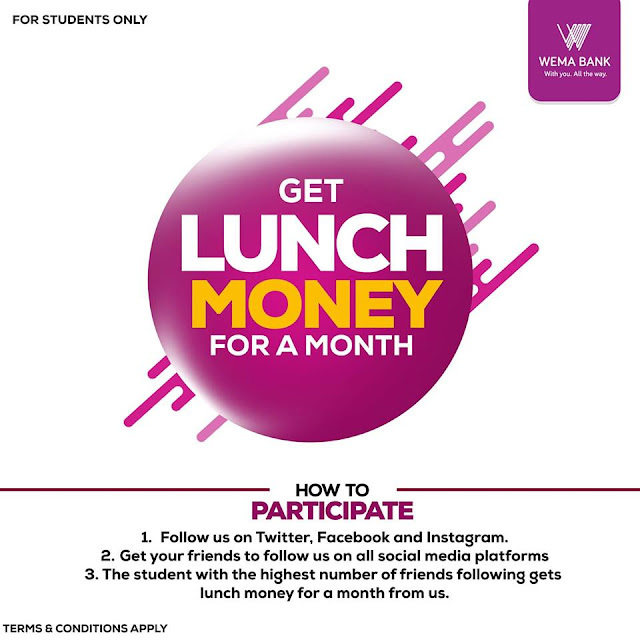 Get Lunch Money For a Month in Wema Bank Giveaway For Students!!! OF THE GREATEST NIGERIAN STUDENTS! THIS ONE IS FOR YOU! 3. The student with the highest number of confirmed referrals for the month wins. The more followers you pull, the better your chance of winning. Winners will be picked at the end of the month and all comments must be under this post.